The earthquakes were coming fast and frequent, as many as 50 to 70 an hour. 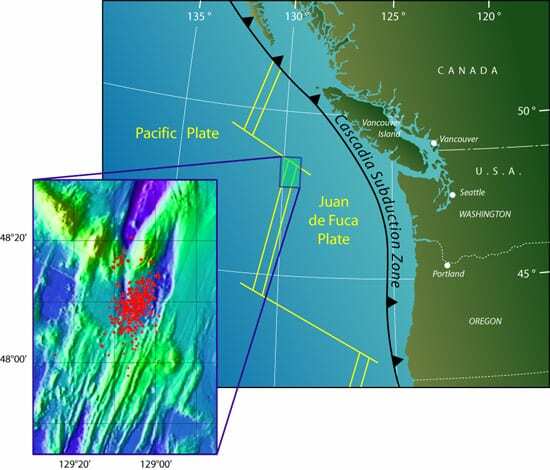 On the morning of Sunday, Feb. 28, undersea hydrophones began detecting the most intense swarm of earthquakes to occur in the last three years along the Juan de Fuca Ridge, about 200 miles off the Pacific Northwest coast. Within the next 36 hours, signals from 1,498 earthquakes were relayed to onshore computers as scientists sent a flurry of e-mail messages to discuss the likelihood that a volcanic eruption was occurring on the bottom of the northeastern Pacific Ocean. By Tuesday, they were mobilizing researchers, shipping tons of research equipment overnight to Seattle, arranging to use and load a research vessel that luckily was docked nearby, and catching last-minutes flights—all for the rare opportunity to witness an undersea volcanic eruption triggered by earthquakes. Such deep-ocean eruptions are not infrequent, happening dozens of times annually around the world. In fact, the eruptions are part of an ongoing, fundamental process that continually creates new seafloor crust. This crust spreads out from its volcanic sources to create new ocean basins and reshape Earth’s face throughout the planet’s history. But the vast majority of those earthquakes and eruptions occur far out to sea, where there are no instruments to detect them. Even if they were detected, they are usually too far to reach quickly by ship. “Oceanographers have a built-in handicap because we so rarely have an opportunity to view undersea earthquakes and eruptions happening in real time,” said geologist Dan Fornari, director of the Deep Ocean Exploration Institute at the Woods Hole Oceanographic Institution (WHOI). “We’re missing a piece that helps us understand how Earth formed and constantly reshapes.” Fornari helped mobilize a camera system for the quickly assembled expedition, launched March 5, to try to capture unprecedented data on undersea eruptions as they are happening. 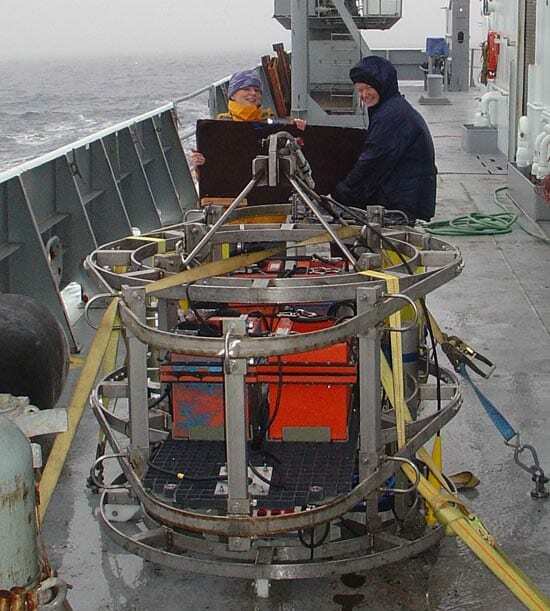 Since 1993, the National Science Foundation Ridge 2000 Program and the National Oceanic Atmospheric Administration have funded six such rapid-response expeditions offshore the Pacific Northwest, where an undersea surveillance system provides signals from earthquakes. 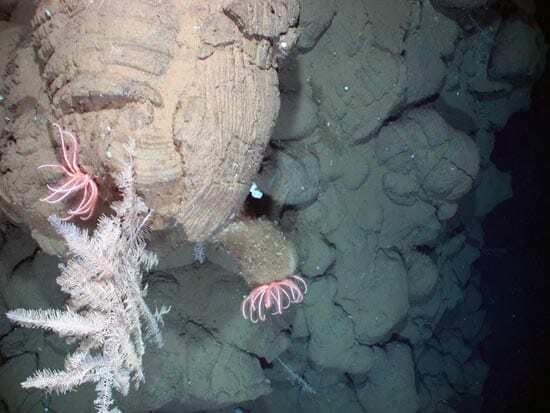 On five expeditions, “we have seen some smoking guns,” said oceanographer Robert Dziak, who monitors offshore activity from his laboratory at the Hatfield Marine Science Center at Oregon State University. 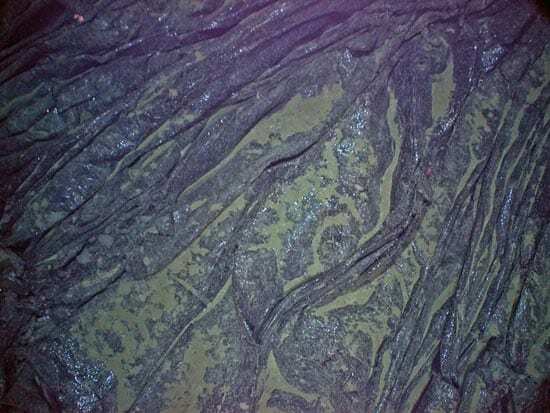 These included chemical plumes in the water that indicate the presence of hydrothermal vents, as well as freshly erupted lava, which looks glassy and black on the seafloor. Oceanographic expeditions typically take three to twelve months to plan and organize. The most recent trip, organized by oceanographer Jim Cowen at the University of Hawaii, came together in six days. “It was pretty frantic, like an oceanographic SWAT team,” said geologist Bill Chadwick of Oregon State University, an expedition participant. Research equipment, much of it shared between U.S. oceanographic research institutions, was identified, shipped, and re-assembled. R/V Thomas R. Thompson, one of 28 oceanographic research ships operated in the U.S—and a vessel typically booked months in advance—happened to be available in Seattle. Crew members, including the captain and two dozen engineers and technicians, upended their time ashore to run the vessel and support science work. Twenty scientists from five states and Canada dropped research projects and family obligations for a 20-hour cruise to the earthquake locale. Marshall Swartz, a research associate in WHOI’s Physical Oceanography Department, said he didn’t sleep for four nights as he helped to arrange for the various parts of a towed undersea camera system to be sent from Hawaii, California, and Massachusetts for use on the vessel. Once on board, he and WHOI postdoctoral fellow Rhian Waller spent hours at shipboard computers remotely guiding the camera system at specified heights above the seafloor to map the area for evidence of volcanism. Unlike geologists on land, oceanographers had to contend with thousands of tons of seawater just to position their instruments. By the end of the cruise, scientists determined that the quakes occurred too deep beneath the surface to send fresh lava to the seafloor. Still, “the experience was worth the hustle,” Swartz said. 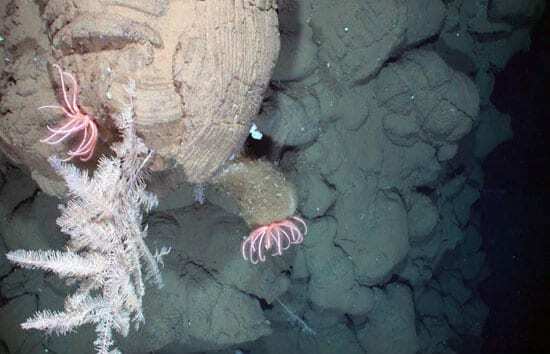 Hundreds of photos, dozens of chemical samples, and sonar information will be analyzed in the months ahead, offering more clues and insights into deep-sea activity.